The VHF radio (very high frequency) is the most common emergency marine communications device, and with good reason: It’s simple to operate, communications go both ways, and, with a properly installed DSC-equipped VHF (digital selective calling), when a boater hits the panic button, the U.S. Coast Guard will automatically know who the boater is, get the exact GPS position (if attached to a GPS unit), and know the boater is in distress. Every VHF marine radio manufactured for the last several years has digital selective calling. DSC allows the radio to transfer information digitally, not just by voice, and to instantly send a digital distress alert to the Coast Guard. Part of that alert is a nine-digit Maritime Mobile Service Identity (MMSI) number that identifies the boat. The MMSI number is like a phone number for the boat, and all DSC capable equipment, including Automatic Information System (AIS) units associated with the specific vessel should use the same MMSI number, since the MMSI serves to identify the vessel, not the equipment. The DSC radio retransmits any emergency signals received, so as long as another boat with a VHF-DSC radio receives the transmission, the effective range of a distress call can be many times greater than an individual boat’s VHF range. VHFs are also relatively inexpensive, easy to install, and virtually all of the models on the market today are rugged and reliable. The biggest downfall of a VHF-DSC radio is the same as it is for all VHF radios: The range is limited by the curvature of the Earth. Antenna height plays a big role here, as can atmospheric conditions. With an average fixed-mounted antenna on an average pleasure boat, a boater can’t expect a range much over 20 miles. Also, the fixed-mounted VHF on a boat depends upon the boat’s electrical system for power. If a boat is adrift with dead batteries, the radio won’t help. Carrying a backup handheld unit with its own power source is always a good idea, but these units have even less range, sometimes as little as a mile or two. 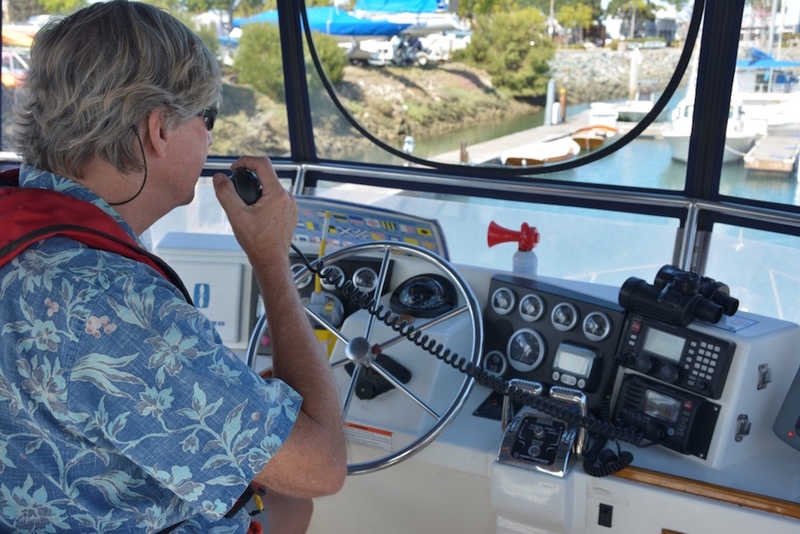 Finally, a VHF-DSC radio must be properly interfaced with the boat’s GPS to give position data—something the Coast Guard estimates eight out of 10 boaters fail to do—and it must be registered with a Maritime Mobile Service Identity (MMSI) number. Information on obtaining a MMSIs for domestic use can be found on the U.S. Coast Guard Navigation Center website.